Chemical peels are a method of regenerating and resurfacing the skin by inducing a controlled wound to the skin. They remove the top layers skin to help induce collagen re modelling and therefore improve sun-damaged skin, skin pigmentation problems, wrinkles, skin texture, and the overall appearance of the skin. The strength of the chemical peel will determine its depth. Deeper peels will have a greater number of complications and a longer recovery, but also will result in a greater improvement in the skin. There are several types of chemical peels each suited to different skin problems and types. Chemical peels also vary in strength and are classified as superficial, medium, and deep according to the level of skin they reach. Alpha-hydroxy acid (AHA) peels – glycolic and lactic acid peel. Glycolic acid is derived from sugar cane, and lactic acid is a naturally occuring acid in the body. These peels can be performed at various concentrations to vary the strength of the peel. Their main role is to remove the top layers of the skin and induce new collagen formation. Beta-hydroxy acid (BHA) peels – Salicylic acid is main ingredient found in these peels. These peels are generally used in oilier skins or acne prone skins as they are oil soluble and penetrate deeper in this type of skin environment. Beta-hydroxy acids are generally larger molecules than alpha-hydroxy acids and therefore may not penetrate as deeply in a normal (non-oily) skin environment. Blueberry smoothie peel (Cosmedix) – a very light peel containing AHAs and BHAs as well as some physical exfoliants. Purity peel from Cosmedix – A salicylic acid based peel from Cosmedix. Retinoic acid peels . Retinoic acid is the ingredient found in well known skin products such as Retin-A or Stieva-A (tretinoin), although in much less concentrations that in the retinoic acid peels. Retinoic acid helps to increase the turn-over rate of the skin and make it behave more like a ‘younger skin’. They can also help to reduce DNA mutations caused from UV exposure on the skin. Benefit peel and Timeless peel from Cosmedix – These are both retinoic acid based peels. The benefit peel is the lighter of the two. Jessner’s peel (a combination peel of salicylic acid, resorcinol, and lactic acid). This combination peel brings together a combination of alpha and beta hydroxy acids (see above) as well as resorcinol, and the effects of each of these ingredients. Resorcinol is a derivative of phenol ( a very deep peeling agent) and is good for resurfacing the skin. The depth of the peel, which in most cases is superficial, is determined by the number of layers placed on the skin. The skin turns a frosty white colour after treatment for a short time. Trichloroacetic acid (TCA) peel 10-20% – This is a peel that has been performed for many years. Performed at lower concentrations, TCA peels provide superficial resurfacing of the skin to improve skin texture, wrinkles, and pigmentation. 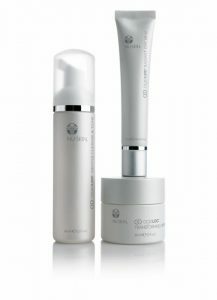 Deep sea peel (Cosmedix) – a natural organic, herb/plant based peel. Can produce deep exfoliation of the skin and significant peeling. Trichloroacetic acid (TCA) 35% – at these concentrations, TCA peels can help with skin texture, wrinkles and pigmentation. A cost effective alternative to laser resurfacing.